Borussia Dortmund have moved quickly to plug the gap left by Ousmane Dembele’s departure to Barcelona by bringing in Ukraine international winger Andrey Yarmolenko on a four-year deal. The 27-year-old arrives at the Signal Iduna Park from Dynamo Kyiv, where he has spent the last decade after joining from the reserves. 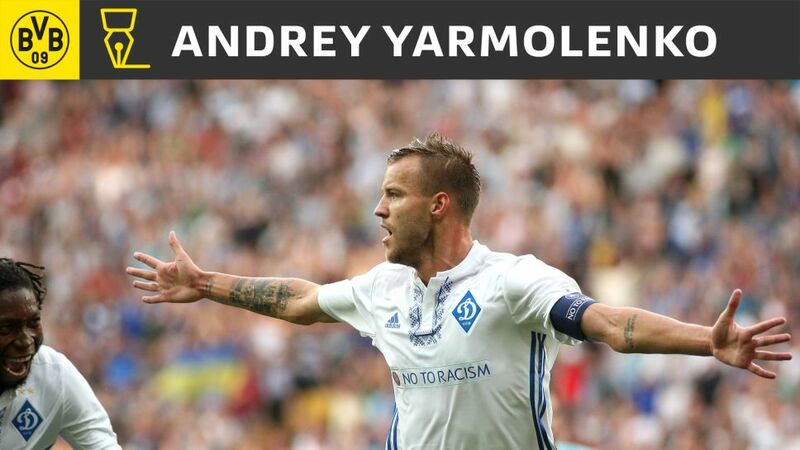 Praised as the new Andriy Shevchenko at the time of his breakthrough, Yarmolenko has gone on to make 68 appearances for Ukraine, scoring 29 goals, after making his senior debut at the age of 19. “Andrey is a player we’ve been following for some time and is one a top player at both club and international level with Ukraine,” sporting director Michael Zorc said on the signing. “I’m really thankful to Dynamo Kyiv for letting me follow my dream and move to one of Europe’s biggest clubs. I’ll work hard in every training to help Dortmund achieve its objectives. That’s what it’s all about here,” Yarmolenko added on the move. Click here for more Dortmund news and features.